Success in AMIE is totally depend upon self study . because most of the AMIE aspirants are working professional therefore they have to make a delicate balance between their job and AMIE study therefore self study is only a tool for success in AMIE. 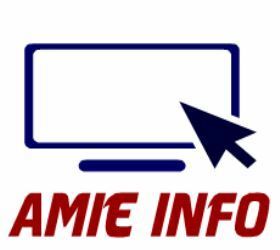 More than 90% people are doing AMIE with their job and most of them are ST member.study of AMIE with your current job is a tough task.we also know that there is no any shortcut for AMIE so you have only one way i.e. whatever time you have utilize it for AMIE study. "I just can't seem to remember well enough to pass the test." "Names give me trouble. I can't seem to remember them." "There are so many different items that I can't remember the prices." Have any of these thoughts ever applied to you? At final exam time, for instance, you may have difficulty remembering important information. Why is this so? Why are some things more difficult to remember than others? You can remember facts if you need to remember them and if you want to remember them. In other words, your purposeand your motivation make it possible for you to recall facts. You may not be able to remember your teacher's name, but it is easy to remember the name of the girl you met last week--or remember certain information, your purpose for remembering stands out sharply. You can't seem to remember facts about the geography of a country that doesn't interest you, but facts about the country you are all excited about visiting next summer are easy to remember. Why? Because you have a special reason (purpose) for remembering about the country. You are motivated and that helps you to concentrate harder. Increased concentration, in turn, make the information easier to remember. Your purpose helps you to decide which information to remember, because purpose directs your attention to what you want to know. Physical fitness increases the efficiency of your lungs and your heart. It helps you to control your weight and it is an aid to you in controlling emotional tension and anxiety. It also helps you to withstand physical fatigue for a longer time. How many advantages do you remember? Do you think that you will remember information longer when you know what you are looking for? Do you think that you will remember the advantages of physical fitness longer if you are personallyconcerned about it? Now that you see how purpose and motivation help you to remember, let us consider the processes that increase your ability to remember. ASSOCIATION: When you associate, you make the things you want to remember relate to each other in some way. Once you know what your purpose in reading--that is, once you know the information you are looking for--you can try to remember this information by fitting it into some general category. VISUALIZATION: Visualization helps you to create a strong, vivid memory. Try to picture in your mind what you wish to remember. Try to remember a man's name for example, by seeing his face in your mind and associating his name with it. You can remember an important date in history (perhaps a battle or a peace meeting or an inaugurating) by picturing the scene in your mind with the date in big letters in front of this visualization. CONCENTRATION: What is concentration? People often say that they can't concentrate or that they will never be able to learn to concentrate better. Quite often it is our way of life that takes away our former ability in this area. Small children are well skilled in concentration. Have you ever seen a youngster so absorbed in playing a game or in reading or in just daydreaming, or visualizing, that he doesn't hear when his parents call? He is punished for this and soon learns that he shouldn't concentrate as hard on what he is doing, but that he should gear some of his attention to listening for his parent's (or teacher's) call. Concentration can be defined as focusing attention on one thing and to one thing only. When you do an exercise which provides an opportunity for you to do this, it is basically an exercise in concentration. How can you learn to concentrate better? Visualizing will help. Visualizing forces attention to one thing only. If you try to see specific pictures as you read, it will help you to concentrate. Not looking back will also help you to concentrate. When you do not allow yourself to look back, you force yourself to concentrate in order to get the meaning the first time. Making sure of your purpose in a third way to force concentration. When you read for a particular purpose, you will concentrate on what you read because, as you read, you ask yourself, "Does this satisfy my purpose?" REPETITION: When you have difficulty remembering textbook information, you should repeat the procedures for associating, visualizing, and concentration. The first step in remembering a list, for example, is to categorize it (association) and visualize it (thus forcing concentration). Do this once and then repeat the same task frequently. The repetition will help burn the information into your memory. Now, how do you apply association, visualization, concentration, and repetition to remembering information in textbook chapters? Try to understand the general outline of the chapter. Understanding how the chapter is put together provides a skeleton to which you can associate specific information. Visualize as you read. Try to see pictures. Concentrate as you read. Try to read information one time and then without looking back tell yourself what was said. Repeat where necessary to burn details into your memory. ASSOCIATE: Relate ideas to each other. VISUALIZE: Try to see pictures in your mind as you read. CONCENTRATE: Have a specific purpose, associating, and visualizing will help you to do this. REPEAT: Keep telling yourself important points and associate details to these points.